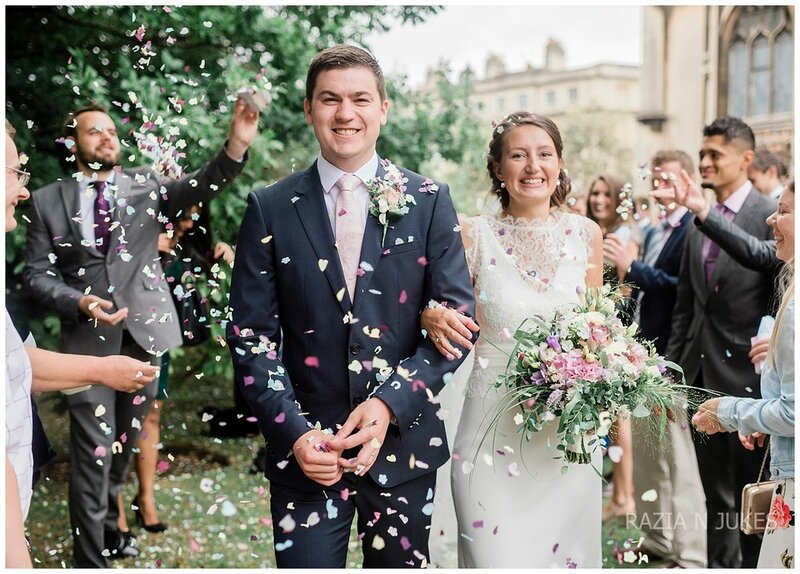 Becca and Josh had a beautiful barn wedding set in the stunning countryside on the outskirts of Bath. They met seven years ago at university. Becca described their relationship as a friendship that developed into a deeper connection. The day started at Becca’s parent's house where Becca was getting ready along with her three bridesmaids. The girls relaxed while Maria Melillo from Aquara styled their hair. Becca loved her relaxed aura. She thought it helped spread the vibe to the whole bridal party. 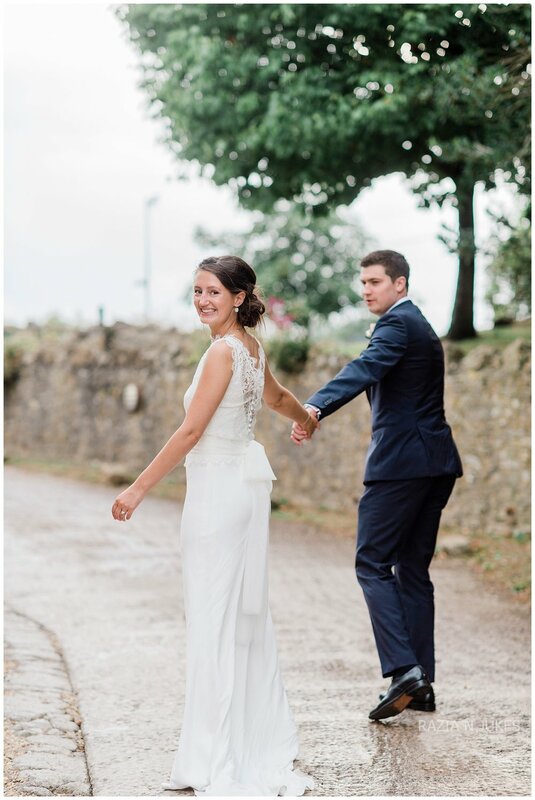 Becca wore her hair in a loose bun, and wore a beautiful dress by Charlie Brear. She looked amazing. Timeless and elegant! Josh looked super stylish in his suit from Hugo Boss. After the ceremony, the guests all got onto a coach which took them to Thyth Barn and its majestic surroundings. 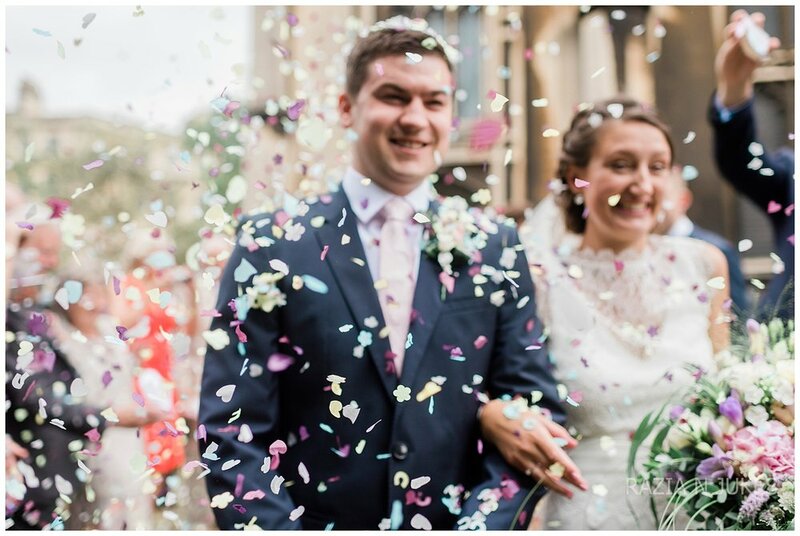 Choosing a venue with lots of outdoor space was very important to Becca and Josh. They envisioned their friends and family sipping on champagne and mingling outside on arrival at the venue. When they first visited Priston Mill for the first time, it was a beautiful sunny day, and it bought their vision to life. Ironically it poured with rain during the drinks on their wedding day which meant that the reception was inside. Becca and Josh felt that, despite this, the service was just outstanding and they couldn’t have asked for more. I have to say I agree and the rain did not stop the smiles, it was indeed a magical day. The Barn itself was beautifully decorated with pink and white flowers set around candles which just added a wonderful soft ambience. The flowers were by Joanna from Floral touch. Becca told me Joanna was very good at understanding what she wanted.